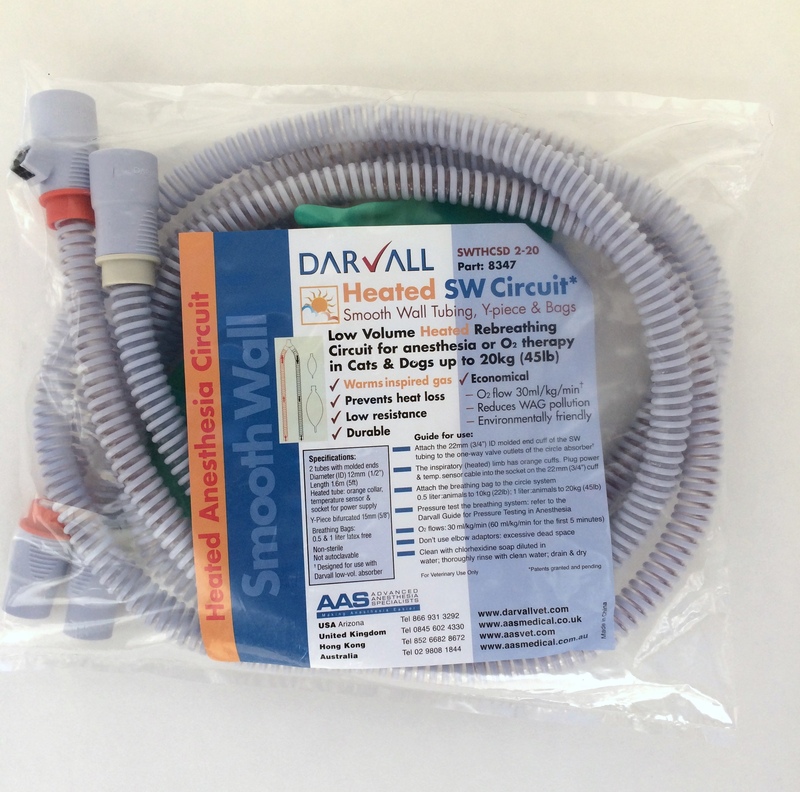 Darvall Smooth Wall Tubing (SWT) Circuits use low resistance, low volume, small diameter tubes. 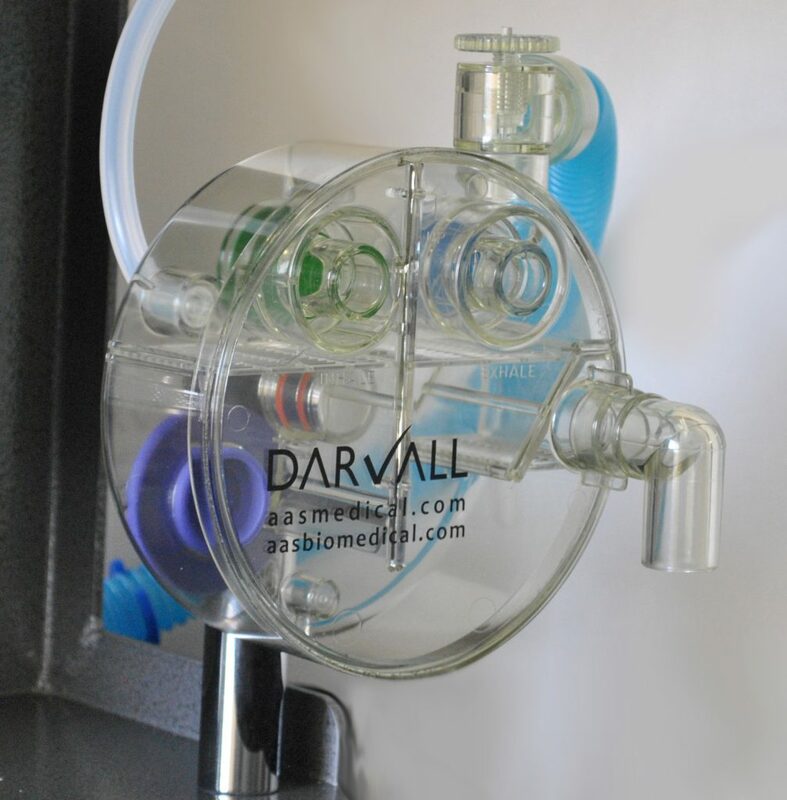 This new concept in circuit design offers HUGE efficiency advantages for the patient as well as for your practice. They dry quickly and completely! 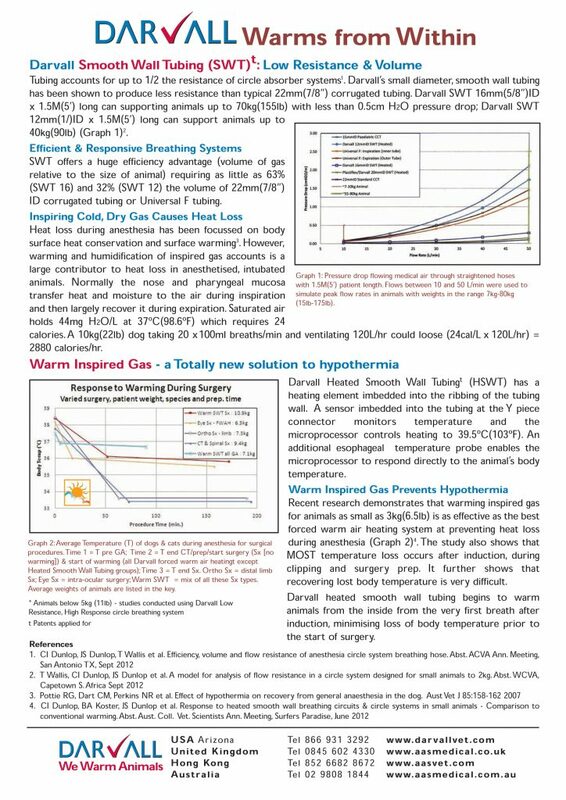 Is surface warming the best solution? 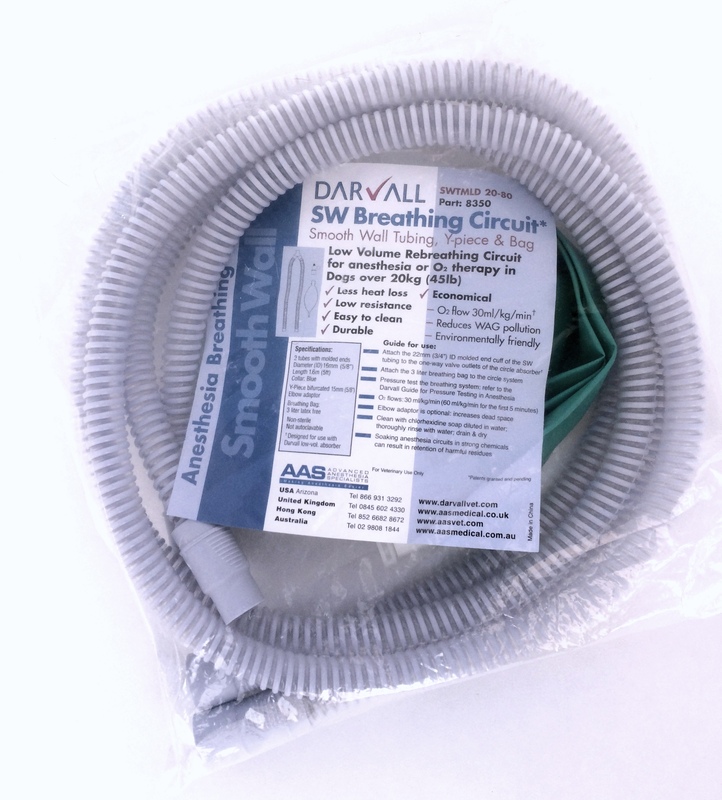 This guide describes an innovative new paradigm for preventing heat loss during anesthesia. 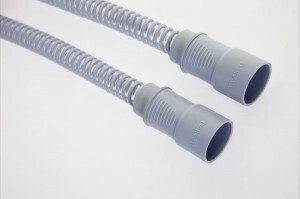 The first temperature-controlled breathing circuit of its kind. 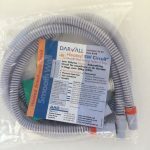 This new heated breathing circuit was developed by veterinarians to prevent the problems of hypothermia in anesthetized veterinary patients. 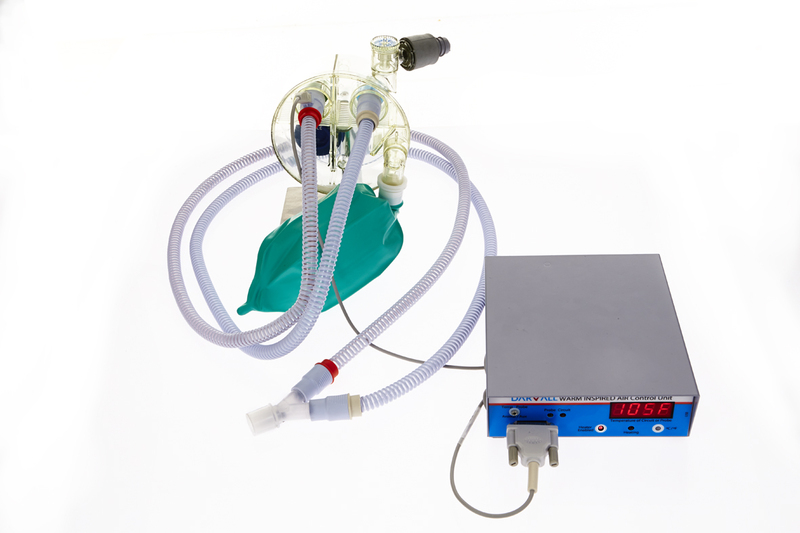 Our breathing circuits can be used for all veterinary rebreathing anesthesia, with particular advantage for small animals. 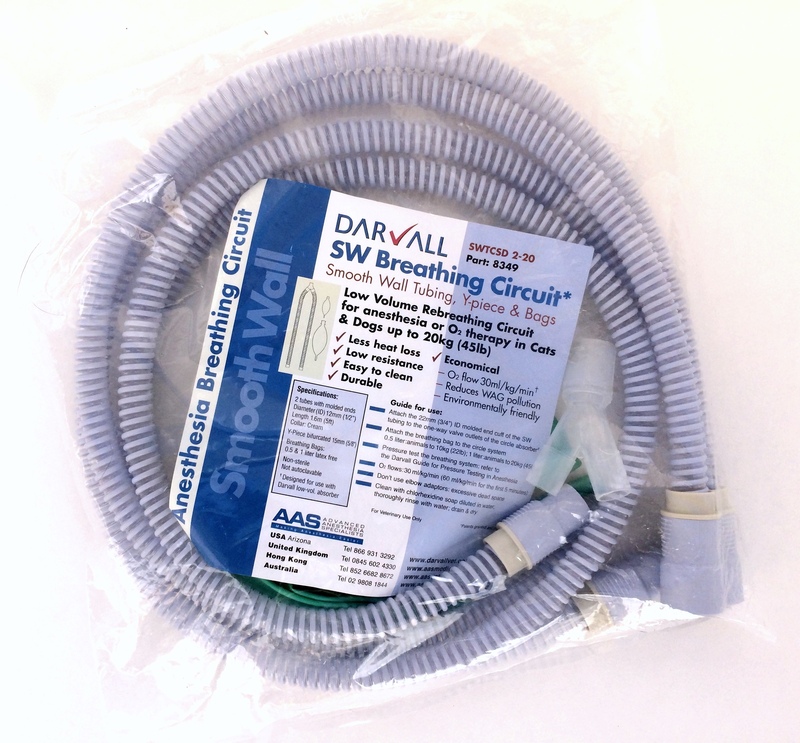 Now patient warming is as simple as using a better breathing circuit. 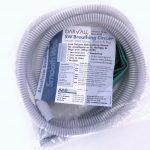 We are so confident our SWT Heated Breathing Circuit is a game changer for patient warming that we offer a money back guarantee. If you are not satisfied with the Heated Breathing Circuit Set you have up to 30 days from receipt of product to contact Customer Service (866) 931-3292 for a return authorization. 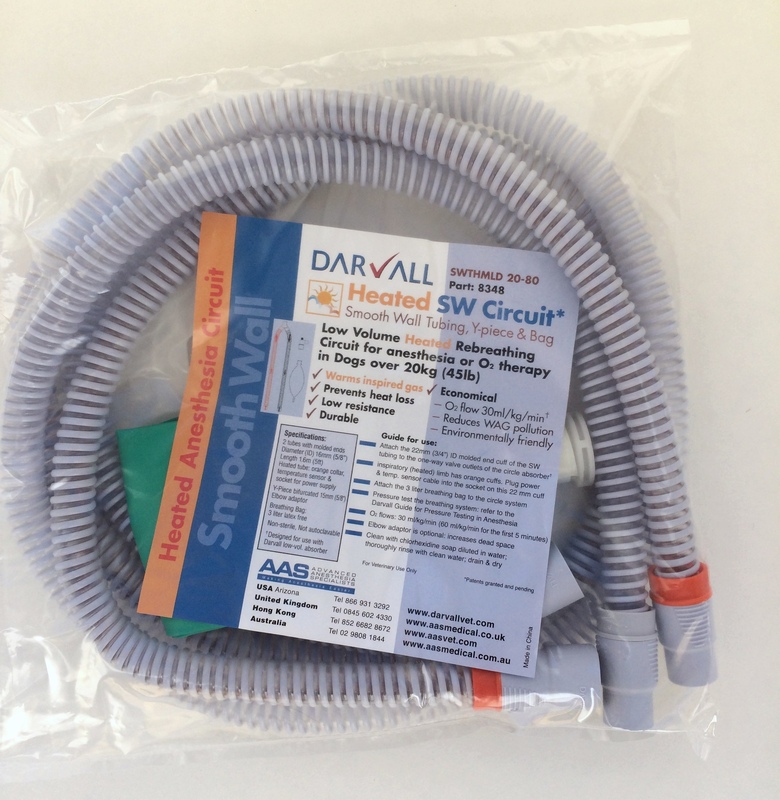 You will need to return the entire SWT Heated Breathing Circuit Set in its original packaging to DarvallVet prior to a refund being issued for your product purchase. 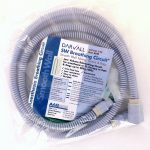 "I bought the Darvall [Heated Breathing Circuit] unit from you last year, and we use it on every anesthetic procedure. 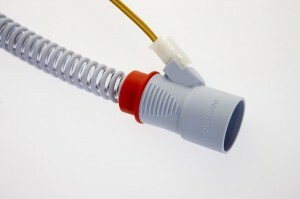 It has helped prevent hypothermia in all our patients. They recover quicker and with less complications. 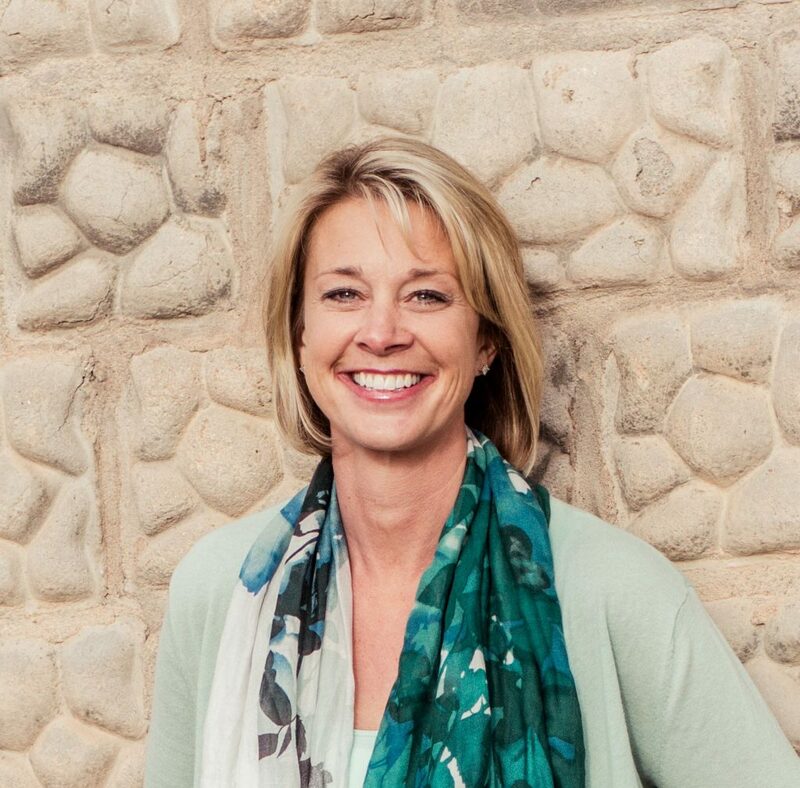 It also saves time because we would have to warm them up after a long dental procedure." As a replacement canister or to increase your productivity by keeping an extra KAB CO2 Absorber filled and ready. Just add circuit and go!